"halloween" - Blog @ That Awesome Shirt! Zazzle: 31% OFF EVERYTHING in our Halloween Spooktacular! Trick or treat? This is a huge treat for you! Expires 31st of October, 2017. Need a T-shirt for Halloween? We've got the perfect Horror T-shirts for you. Better yet, get up to 20% off all Horror T-shirts. But you better hurry: our sale ends in just 3 days. Zen Monkey: 20% Off End Of The Month Sale! Get 20% off most items! So many discounts, it's spooky! With hundreds of items available at our shop, it's hard to just showcase a few of them. That's why almost our entire catalog is having a sale! Come see what we got for you! DBH is having a 15% off sitewide promotion for Halloween. It's on now! Expires 31st of October, 2016. 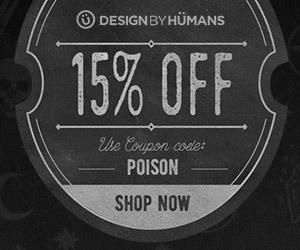 Design by Humans: Last chance to get it by Halloween + 15% Off! Time is running out! Get it by Halloween! Order before midnight PST tonight and get it by Halloween! 15% off spoooky tees today! Expires 19th of October, 2016. Goodie Two Sleeves: 5-day spooktacular sale! Spooktacular $avings in time for Halloween! 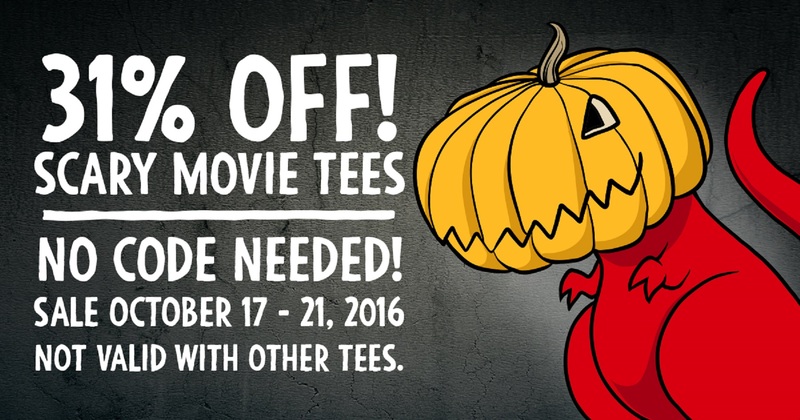 Get 31% off scary movie tees! Sale ends 21st of October, 2016. 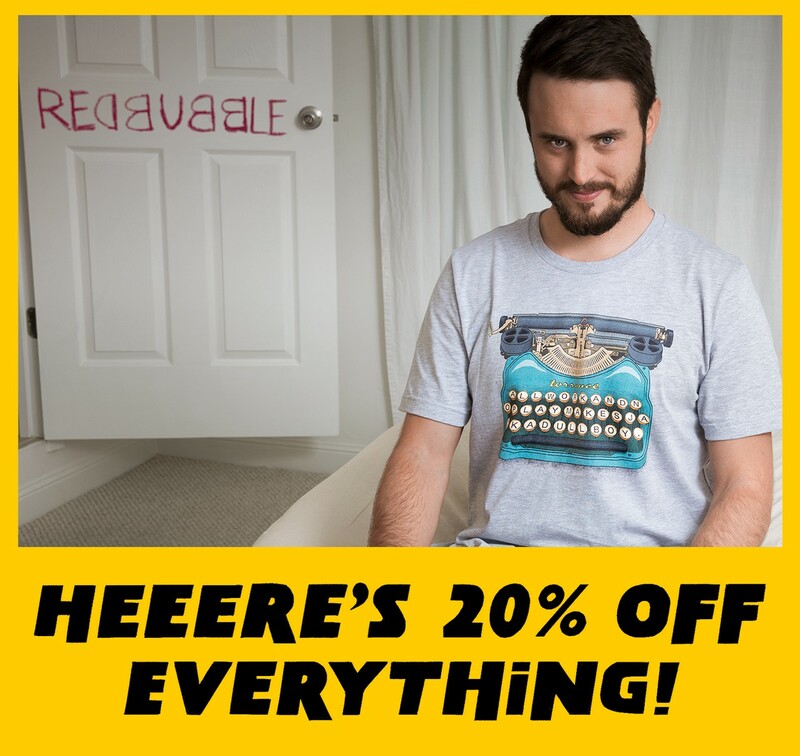 RedBubble: 20% off everything. Forget trick, this is pure treat. Halloween, not just for candy corn. Expires 17th of October, 2016. 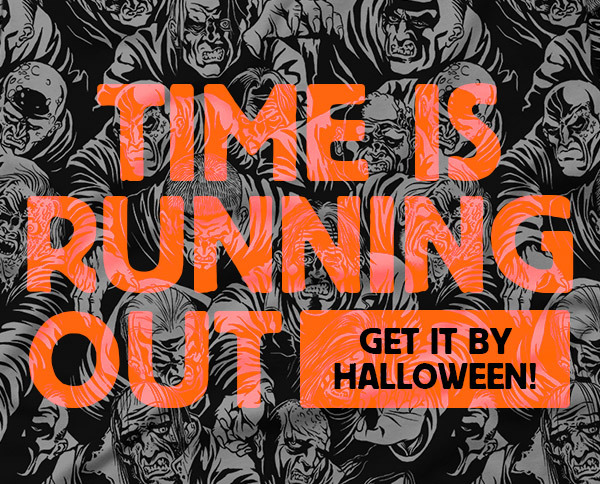 TeeFury: Halloween Horror Collection at 20% Off! Shop the Tee Fury Halloween Collection with 20% off! Use the one-time-use code, must be logged in! Valid through 10/20. This is a bit of an interesting one. You have to be logged in to make use of this coupon, and you can only use it once. Plus free treats in every order! Expires 31st of October, 2015. Update: Goodies bag out of stock, sale still kicking! Strange things are afoot at the J!NX Stronghold! Today marks the beginning of our J!NX-o-Ween party and the ghouls and ghosts are settling in. What does this mean for you? Until 10/31, get 25% off all tees and outerwear and 30% off hats! No promo code required. We also want you to celebrate with us, so we're throwing a bag of goodies in with every order until we run out! They may last a week or two at most. Maybe you'll get a strechy skeleton or a pirate doubloon. We consulted Tobin's Spirit Guide and none of it should be haunted. Deals do not stack with existing sale pricing. Everything is while supplies last, so get to it! Ends 31st of October, 2015.